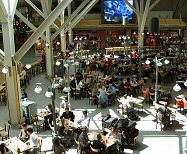 Vancouver International Airport has almost 40 different places to eat. Which one is the best? It's all a matter of opinion, but here's what we've found. All of our choices can be enjoyed without going through pre-flight security. So if you're not travelling that day, you can still search out these places to eat. Milestone's Restaurant, International Terminal, Level 3 (departures level). 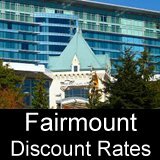 There are cheaper places to eat in the YVR food court, and more expensive and gourmet offerings at the Fairmont Hotel. But for a nice balance of good quality food, good location, atmosphere and fair pricing, Milestone's gets our vote. Milestones is a nice oasis from the hustle and bustle of the terminal. Most importantly, the meals are quite good and reasonably priced. Milestones is a chain of restaurants in the greater Vancouver area, and we're happy to report that Milestones at YVR compares favorably with their other locations in Vancouver and Richmond. Our Pick of the Best Restaurants at Vancouver Airport, and a Guide to Where to Eat and Shop at YVR. Globe@YVR - Located in the Fairmont Vancouver Airport Hotel. This is one of the Best Restaurants at Vancouver Airport. Fine dining with a view plane-spotters will love of the US arrival/departures ramp. Koho Restaurant & Bar - A nice place to relax with a beer or glass of wine before taking off on that long overseas flight. Flying Wedge Pizza - Food court of the international terminal, departures level 3. If you crave fast-food at YVR, make it the gourmet pizza at Flying Wedge. Best Coffee at Vancouver Airport: Tie: Starbucks & Tim Hortons. The each have multiple locations. Starbucks is dependably strong, but Tim Hortons is a Canadian tradition (they also serves a large selection of donuts, bagels, and sandwiches). Best Place to Buy a Gift at Vancouver Airport: In the Domestic Terminal on level 3, Northern Impressions is good for last minute souvenirs, or the Fish Market for smoked salmon you can take as a carry-on. In the International Terminal, there's a Roots store full of the popular clothing line just past pre-flight security on level 3. Or, try Gifts of the Raven just beside the food court for First Nations art work. Best Place to Get a Pre or Post Flight Massage: Absolute Spa at YVR can help work out those economy-class kinks in your neck! 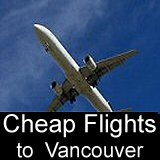 They have 4 locations at YVR. Best Place to Relax or Sleep at YVR: You don't have to leave the airport to get to The Fairmont Vancouver Airport Hotel (hotel entrance is just across from USA departures check-in). It's been called the "best airport hotel in the world". 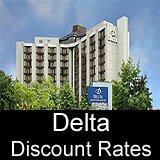 Wonderfully spacious rooms, extremely quiet, gourmet dining, and a full spa and exercise facility. Got a Favorite Place to eat a Vancouver Airport? Do you have a favorite place to eat? Share it!